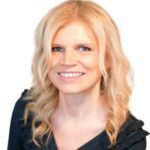 Most people are aware now of the 40-50% average divorce rate in the west and expat communities. Knowing this doesn’t make that any easier if you are living in an unhappy marriage where divorce threats have been made. The good news is an unhappy relationship doesn’t mean it’s over. That’s because it really only does take one person to save a marriage. This is something I have witnessed now way over 100 times and get emails in from 1000’s that join my empowered love program or download my free audios and e-books. How can this be? How can one person save a marriage and stop divorce? 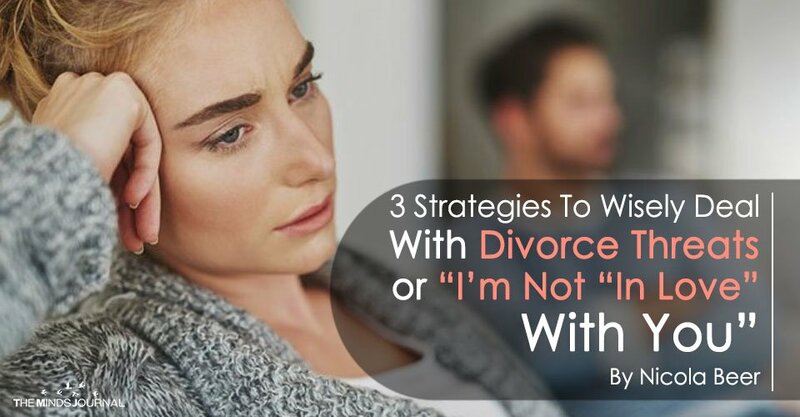 The problem is we often try to address the threats of divorce and stop divorce by doing the opposite of these three things. As I explain below to empower you to take on a new approach to stop the threats of divorce. If you are married to someone who has become very negative about you, your relationship and or life, it can be difficult to hear and listen to their negative outlook. The natural instinct is to try to convince them they are wrong, to point out all the good or how negative they are being. The trouble with this strategy is that it will alienate them, it will push them further away. This is because when we do feel down in life or with a relationship, we tend to fixate on our negative feelings. In fact, we tend to become very attached to our feelings and often our feelings become so consuming they are all we have to go on at the time.. So for someone to say that our feelings (the one thing we are attached to) are wrong, it is easy to become defensive and wants to justify our position. Rather than switching their thinking away from the negative, it pushes their attention back to it, so they can come up with all the reasons the relationship won’t work. So you need to do the opposite when a divorce threat is made. Empathize with them, accept their feelings. Don’t fight them as you will only prove their point that you can’t get along. Show you are really listening to them, and that their happiness is important to you. The key here is to LISTEN, ACCEPT AND VALIDATE their point of view. Show them you understand their perspective, so defenses drop and a new way forward can be created. When the person you love says they want to walk away from you and the marriage, your natural instinct may be to cling to him or her. To ponder to their needs and wishes and be available for them all the time. But begging, pleading or showing them how much you cannot cope without them, is not attractive or enticing. The best thing you can do to save your marriage and stop divorce is to step back and do your own thing. Calmness and giving space will allow them to reflect and rethink. Ideally, you want to show you care about them and you don’t want a divorce without yelling, blaming, begging or drama. Focus on you. You may have a list of things that you wish your partner would change in the relationship. Yet always say to people when I work with them that we can never really work on “the relationship” we can work on ourselves and when we do the relationship changes.